There is an interesting incident in the life of Saint Kentigern (A.K.A. Mungo) when he is looking for a place to build a monastery. Having been granted permission by the king to build a centre for his mission, he then travels throughout the kingdom looking for an appropriate spot. What is most interesting to me is what happens next. There are several points of interest in this story. Firstly, it highlights something that contemporary Christians often forget; that the Bible tells us that the whole of creation is one, that mankind and animalkind are intrinsically linked. You only have to look at the covenants God made with Adam and Noah to see that animals are included. Also, as we read the Law that God gave to Moses in order to establish the Jewish nation, we again see that animals are significantly involved. Mankind was charged by God to take care of the creation, any authentic response to God will be expressed in a desire to take seriously this responsibility to care for the earth and its animals. We see therefore throughout scripture that those who are closest to God seem also to have a deep relationship with animals. Think of Elijah who was fed by ravens, Elisha whose honour was defended by bears, Jonah who was transported by a fish, Daniel and the lions, Jesus and the fish that brought him a coin, to say nothing of Noah and the Ark! Church history shows that same trend, with perhaps Saint Francis of Assisi being the best-known example of someone who saw the animals as his brethren. So how should we live with the animals? Well Saint Kentigern gives us some clear guidance. The first thing we see is the expression of gentleness and an attitude of love and appreciation expressed towards animals. Animals, like humans, seem to enjoy physical contact. The first thing Kentigern does is to express his love for the boar by giving him a good scratch. The second thing we note is a reference to the dangerous aspects of the animal. Wild animals are, by their very nature, dangerous. 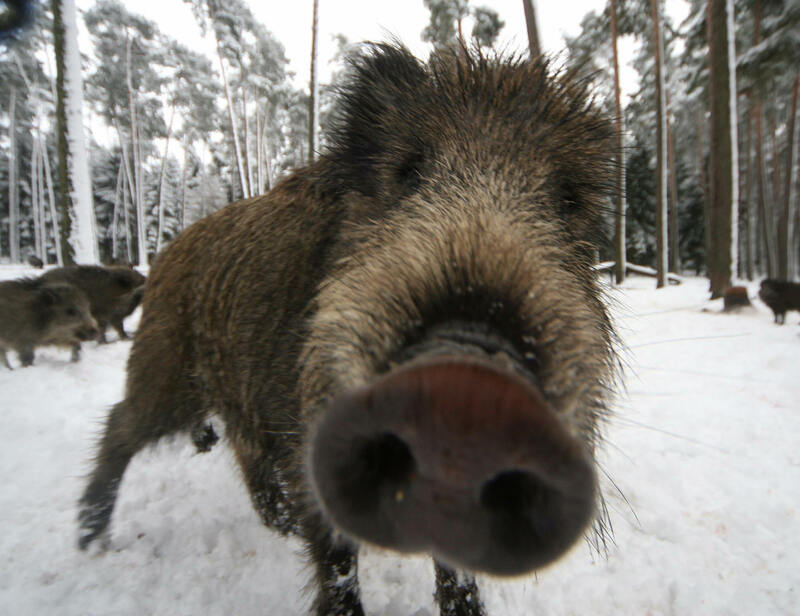 Living in rural France I have seen several hunting dogs with 30cm scars, caused by a wild boar striking out at them with its tusks. A Christian attitude towards animals will maintain a healthy respect for their wildness and their inherent danger, but will not allow this healthy fear to be a barrier to our appreciation for them and our willingness to live with them. The blessing that Kentigern prays over the boar expresses the reality of the difference between man and beast. Such is this difference that we often don’t know what is best for wild animals. Our existence is on a different level to theirs and has a very different context. We need to acknowledge this humbly before God. We need to maintain the motivation of doing what is best for them, to bless them, and seek God for His guidance about how we can best achieve this.